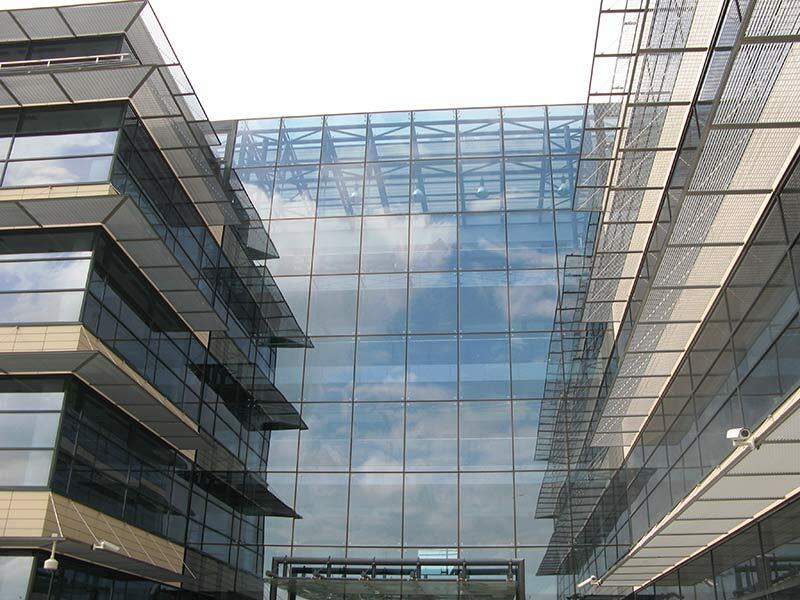 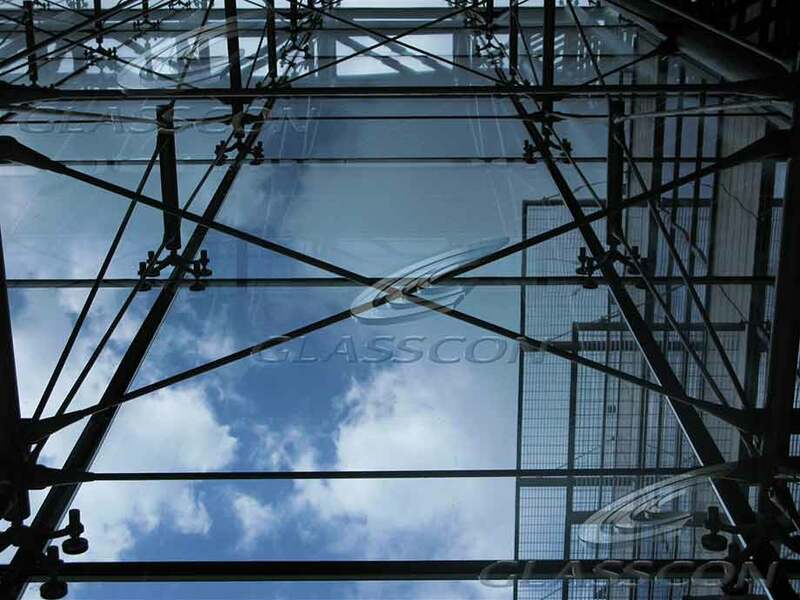 GLASSCON designed and constructed the glass curtain walls of the Department of Business & Technology building in Baneasa/Romania using the stainless steel prestressed suspended tension rod systemin combination with struts which bear all the stable fixed and mobile loads.The eight facades have a height of 32m. 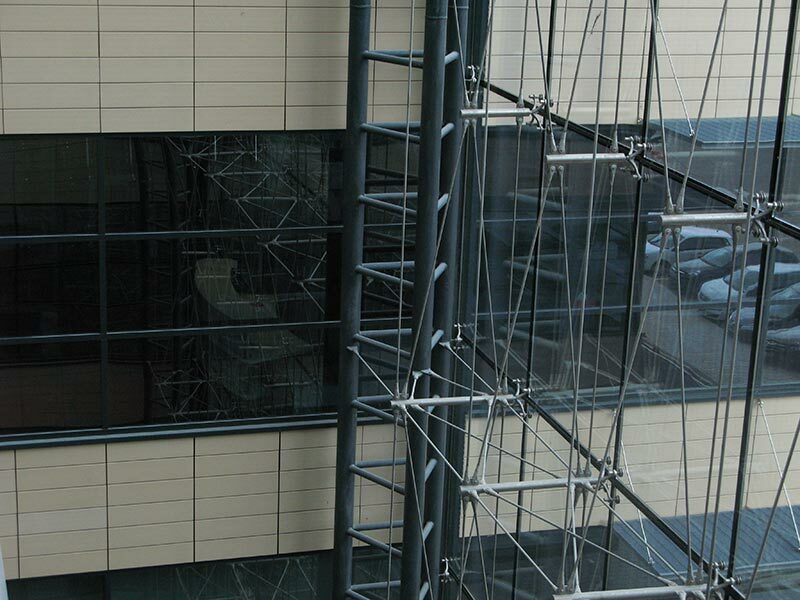 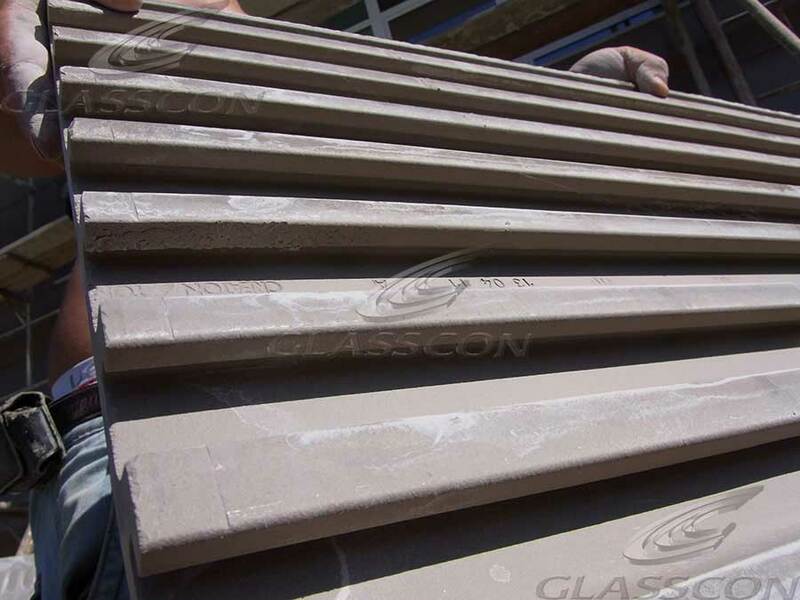 As external cladding ceramic clay tiles have been installed. 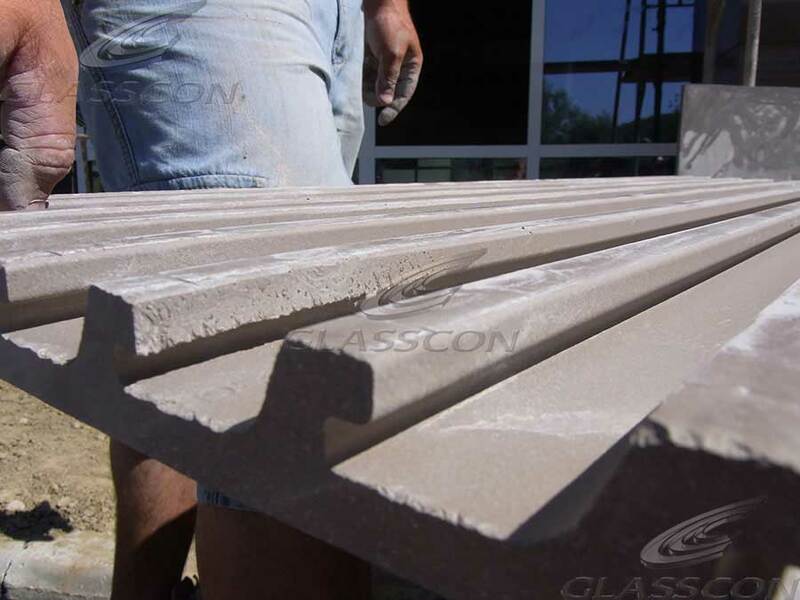 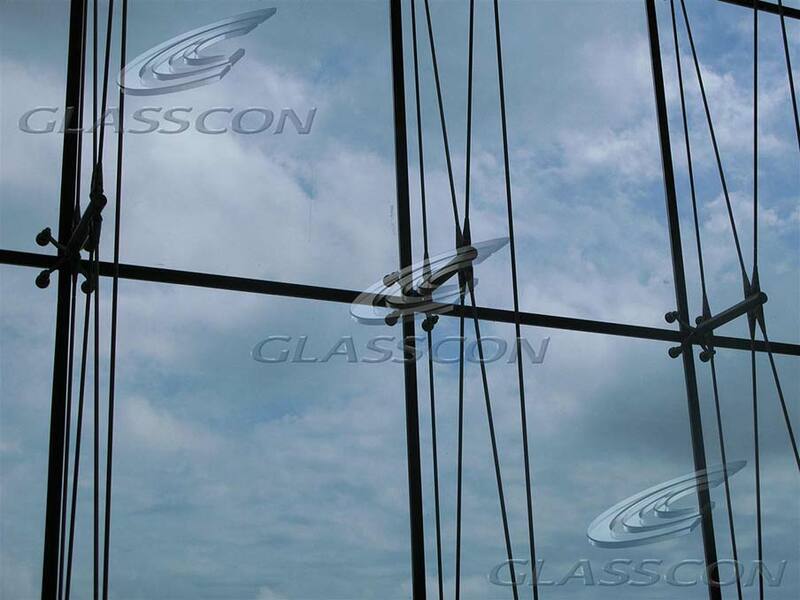 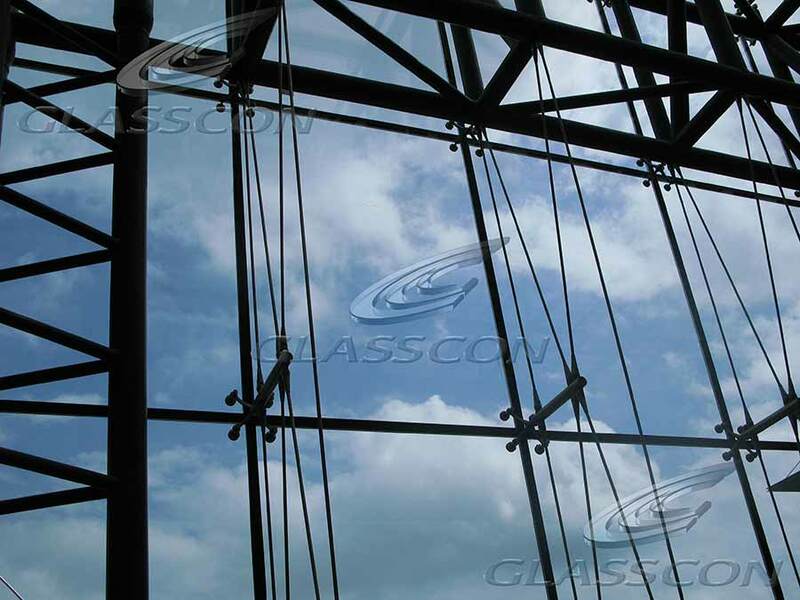 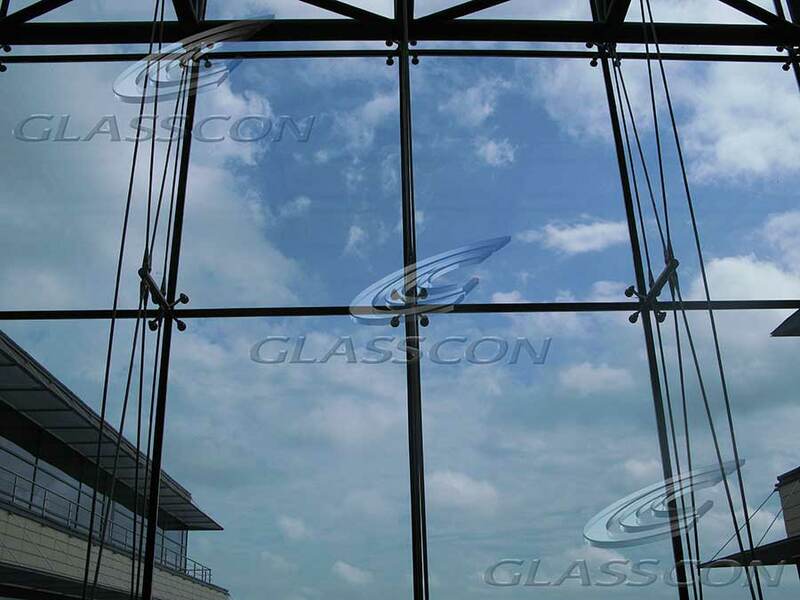 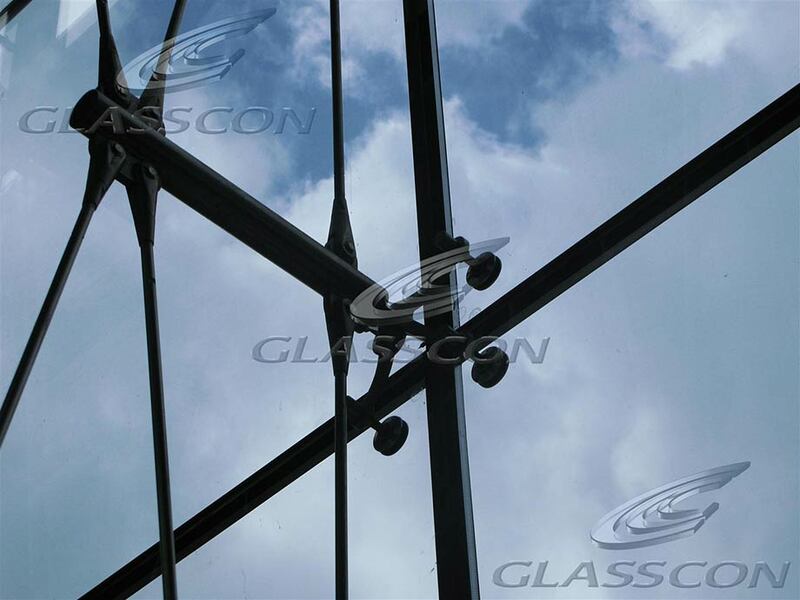 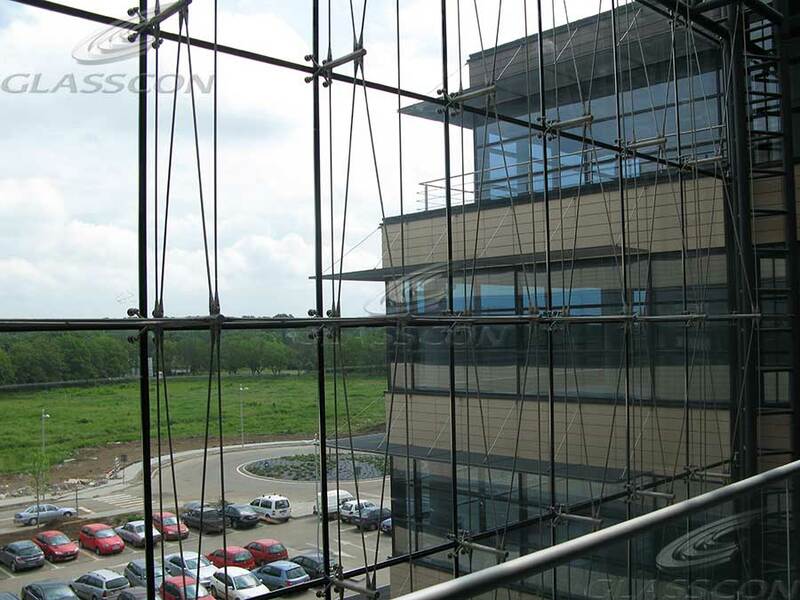 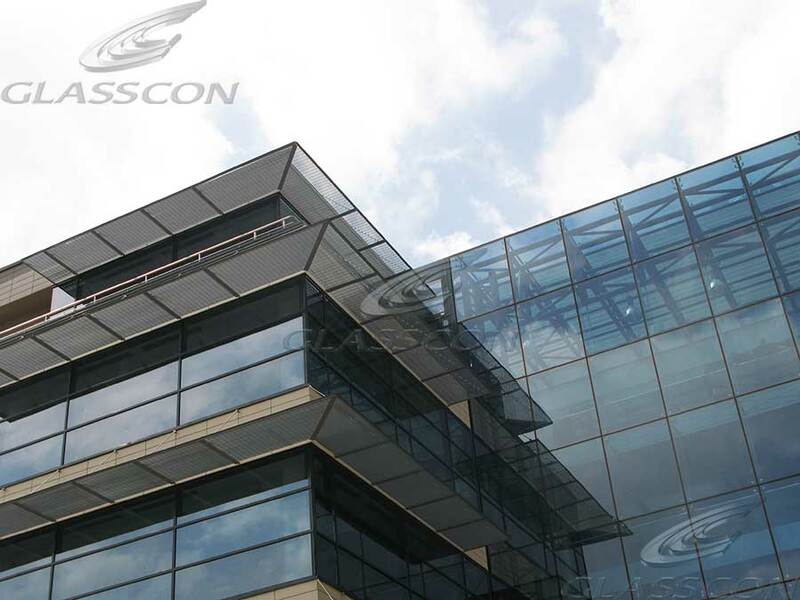 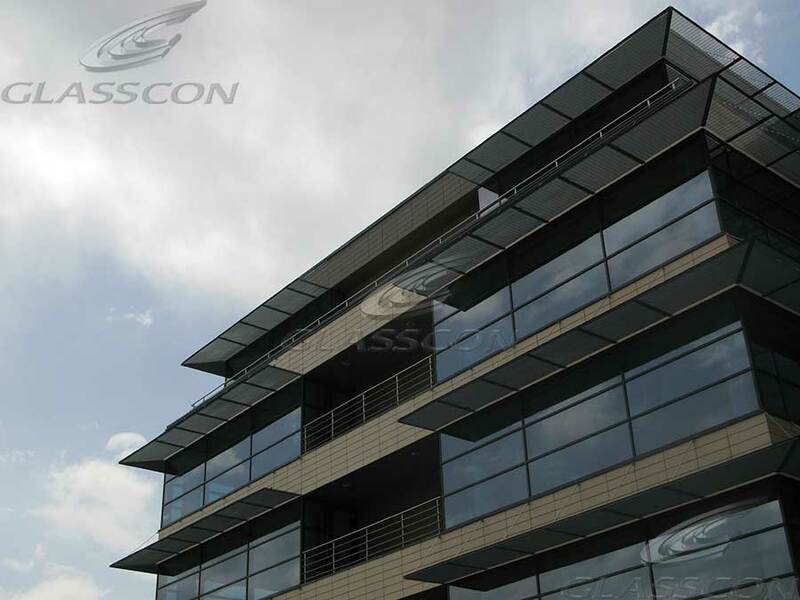 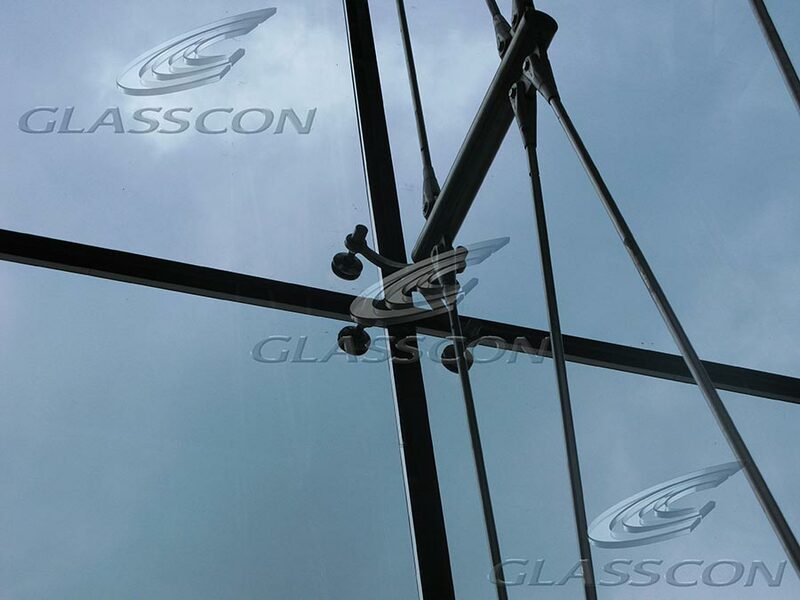 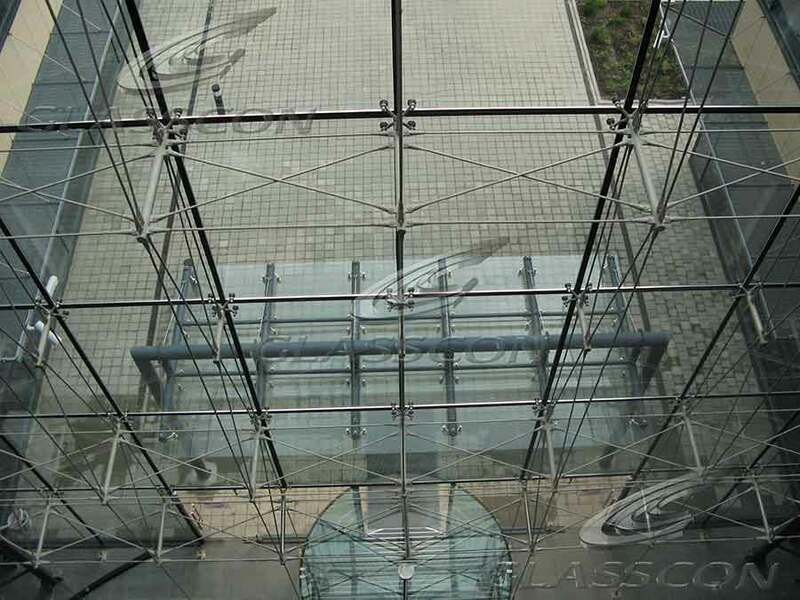 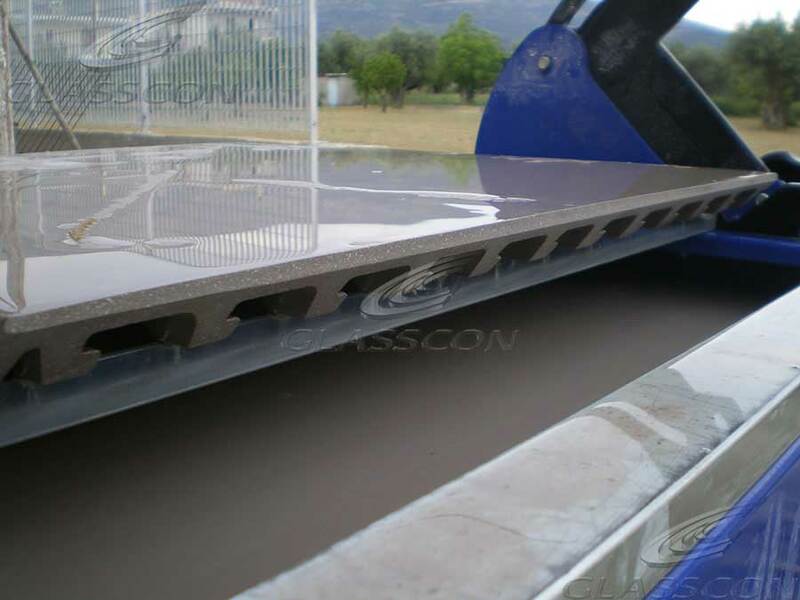 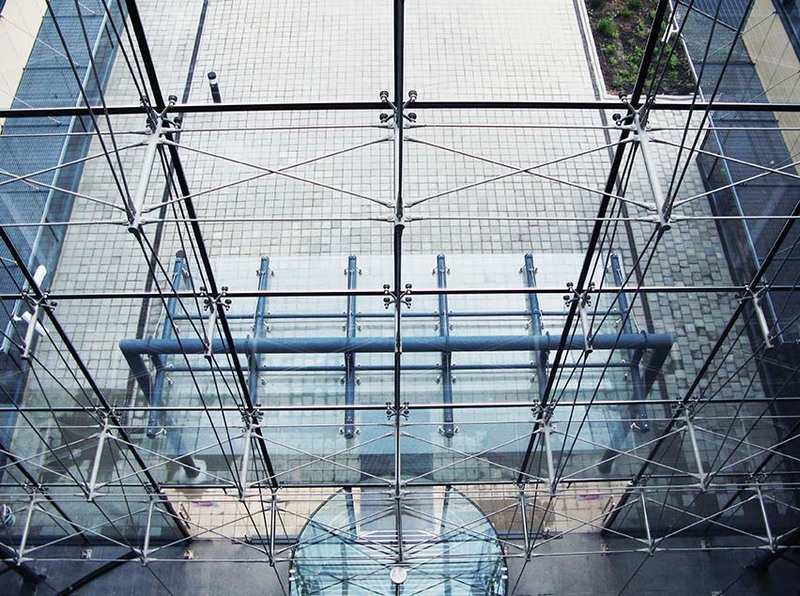 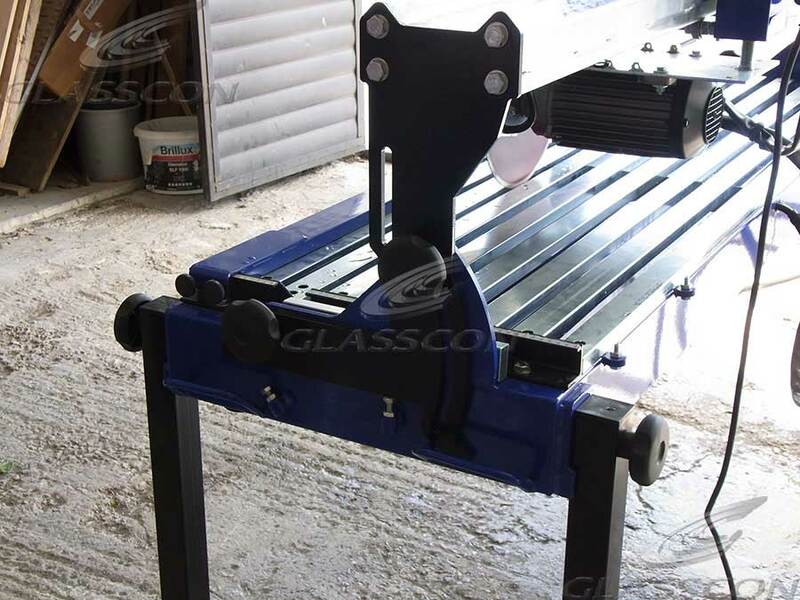 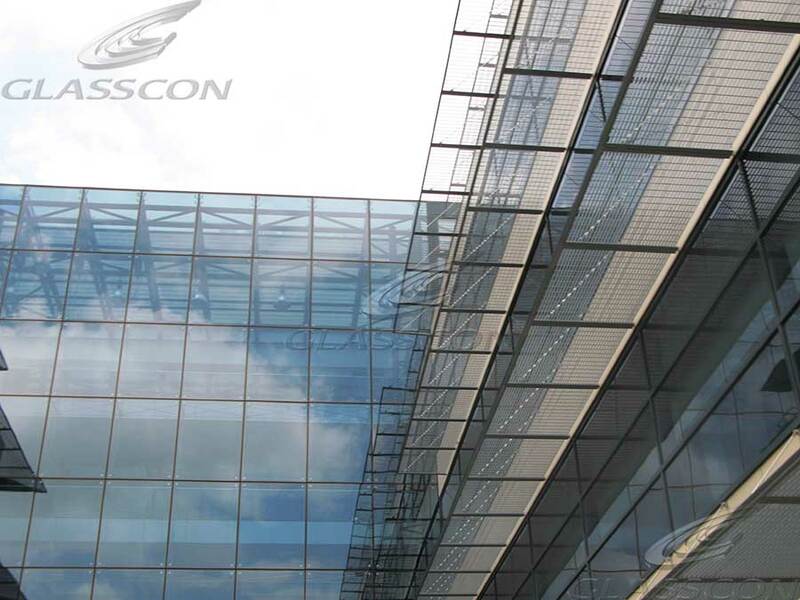 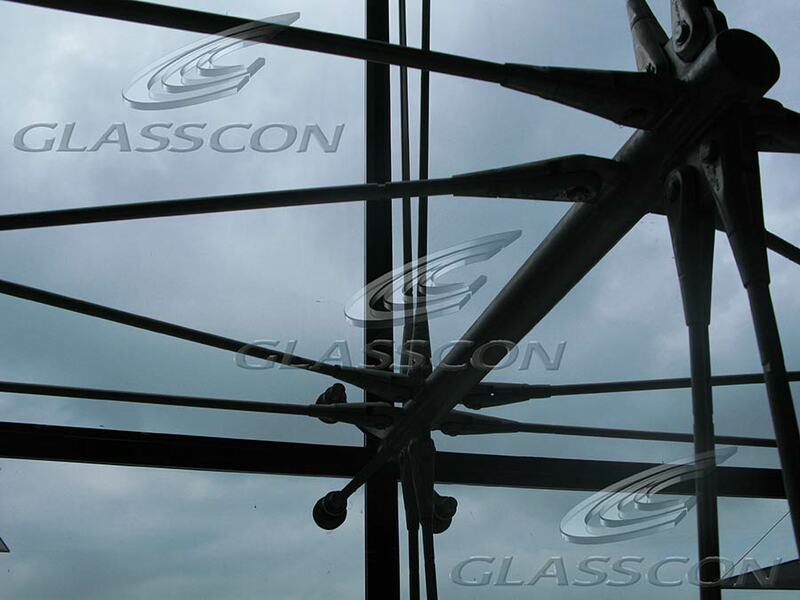 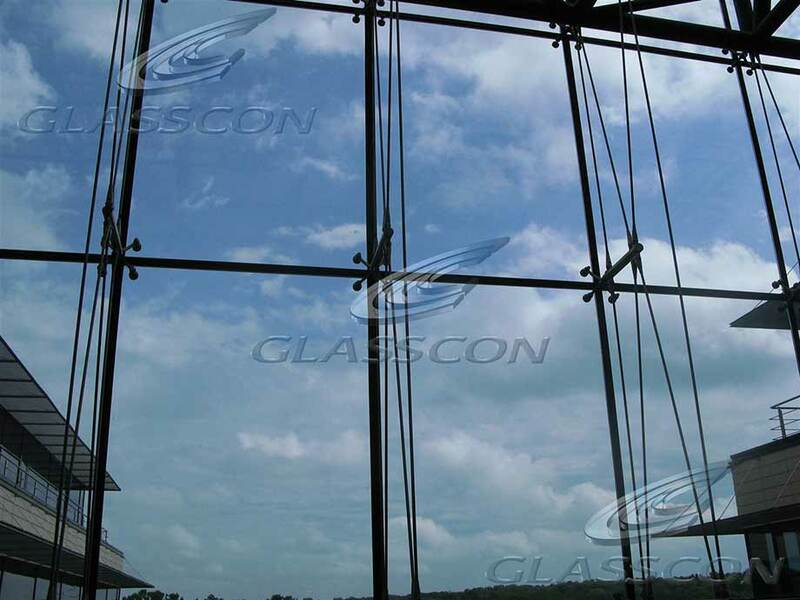 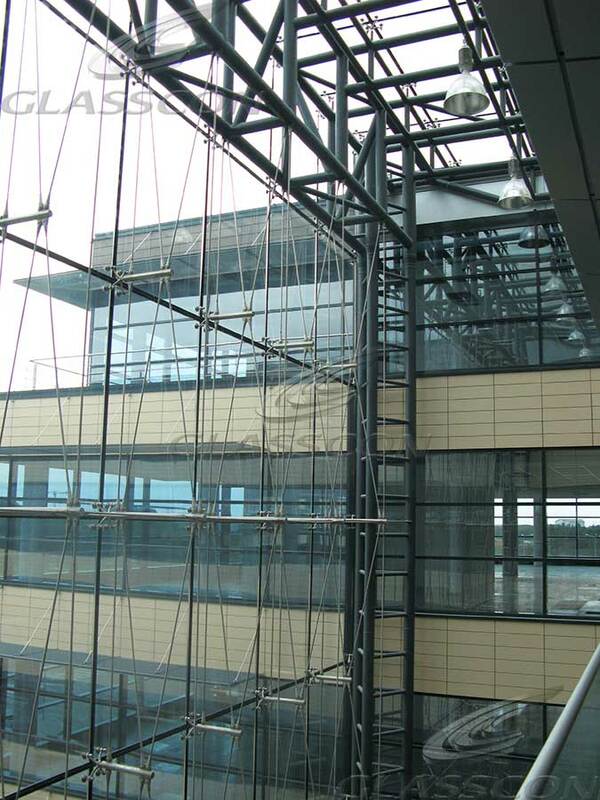 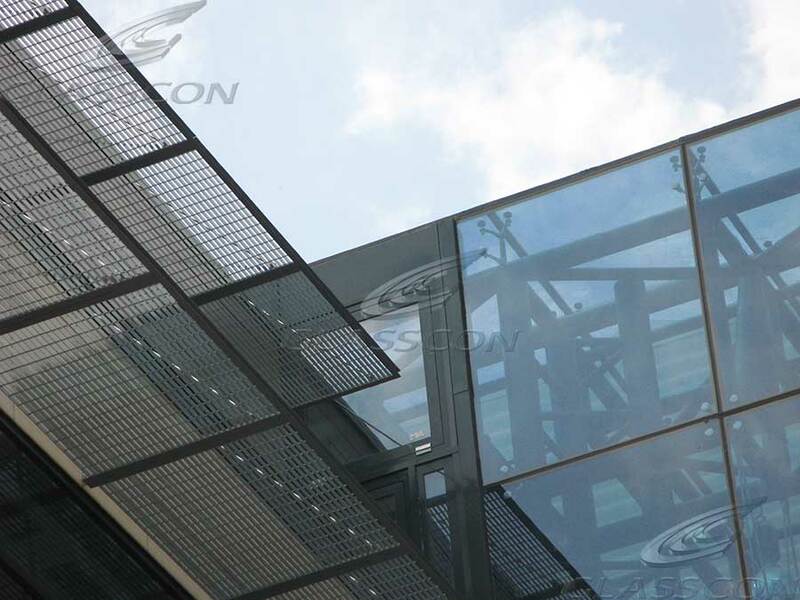 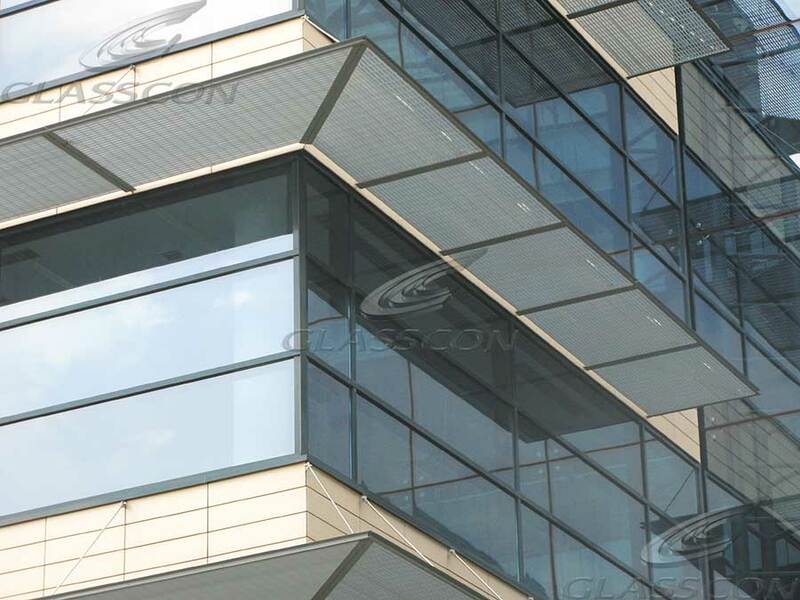 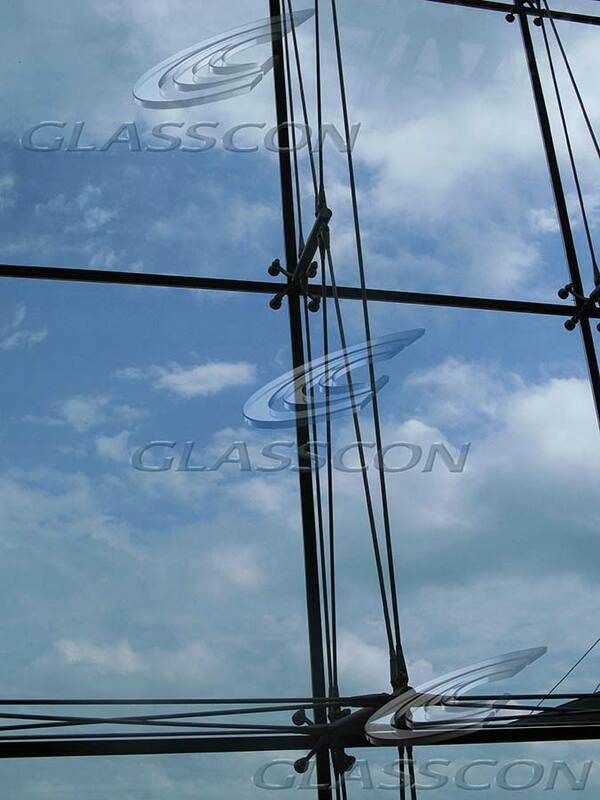 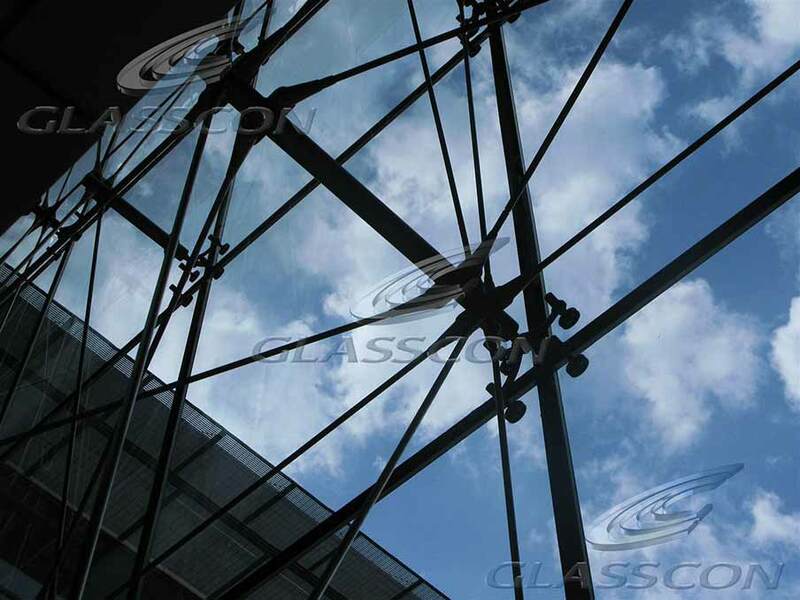 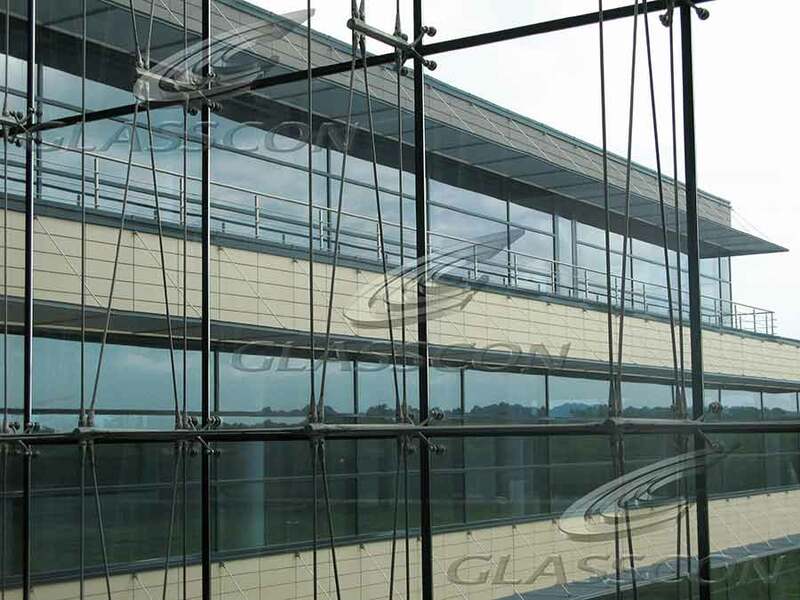 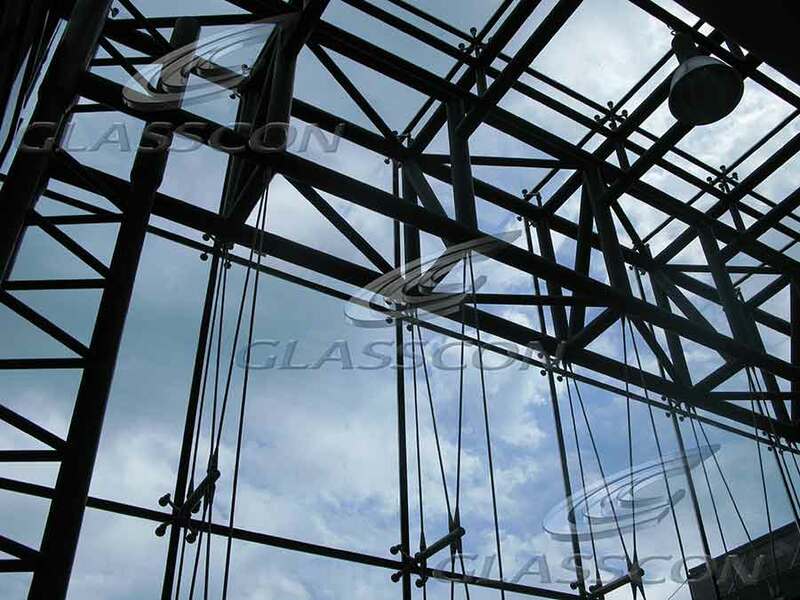 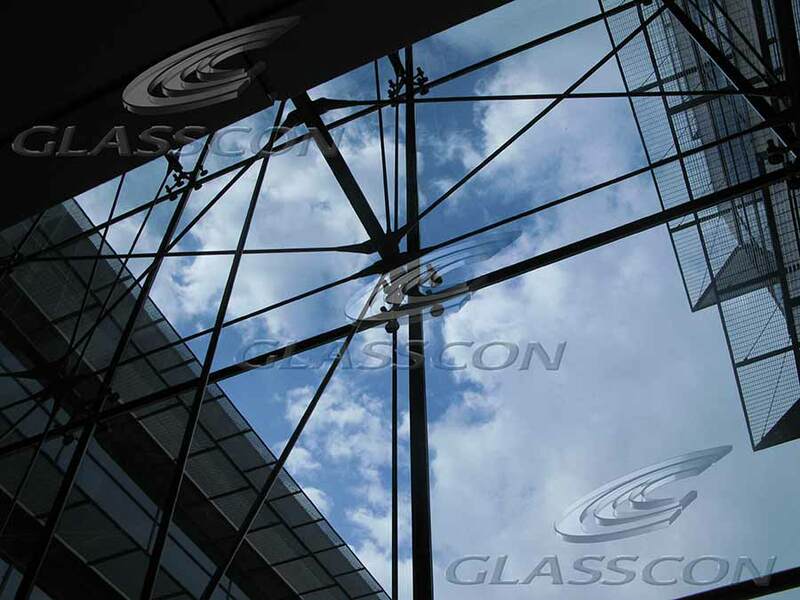 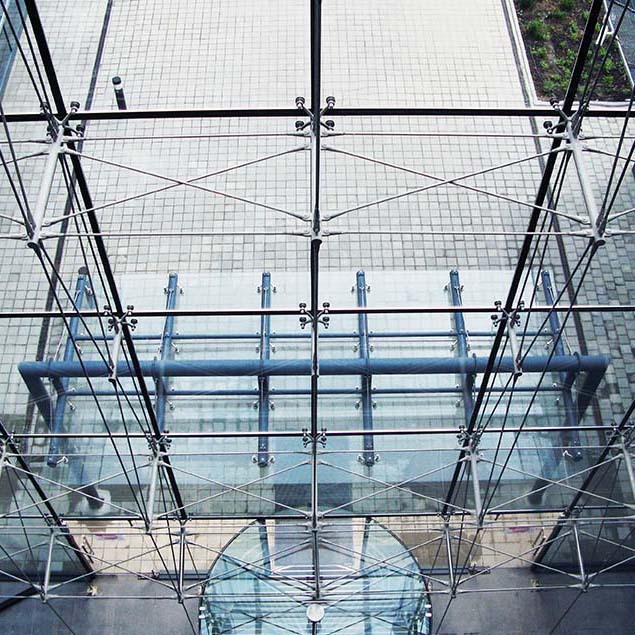 GLASSCON offers turnkey spider glass curtain walls, suspended glass walls, suspended curtain walls, glass curtain walls with truss, glass curtain wall with bow string truss, tension rod systems, glass curtain wall with truss tension system, glass curtain wall with cables, point fixed glazing, spider glazing, suspended glass curtain walls with prestressed cables, glass curtain walls with prestressed cables, glass curtain walls with tension rod system from one hand! 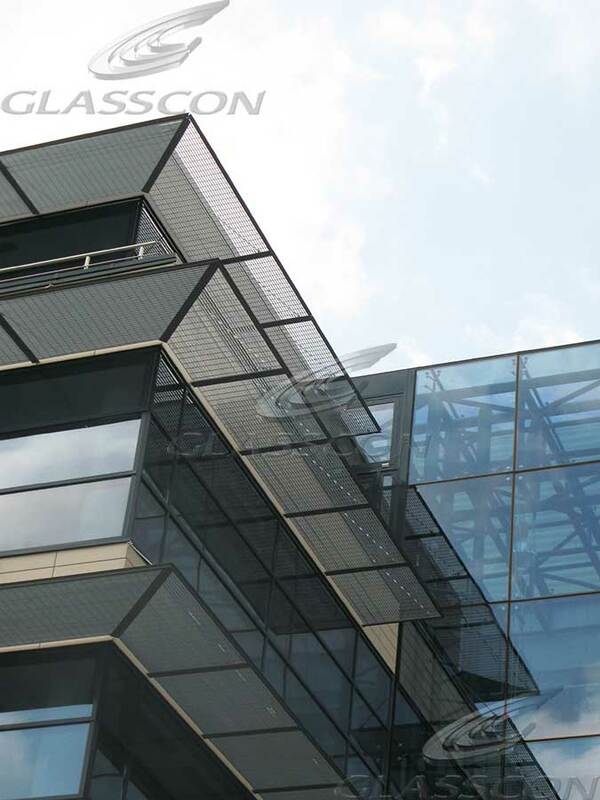 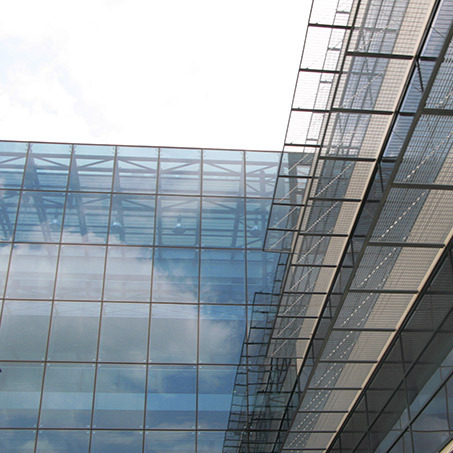 GLASSCON designed and constructed eight spider glass curtain walls of the Department of Business & Technology building in Baneasa/ROMANIA using the stainless steel prestressed suspended TENSION ROD SYSTEM, pressure bars & DOUBLE GLAZING units with U/K-Value of 1,1 W/m2K. 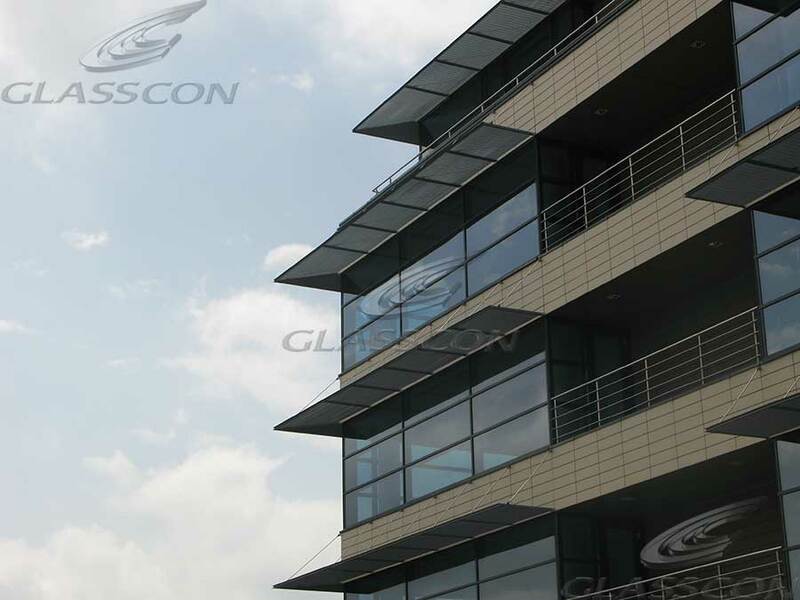 Each facade has a height of app. 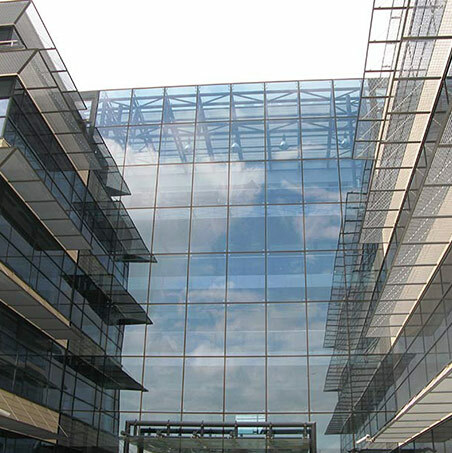 32m. As external cladding ceramic clay tiles have been installed.